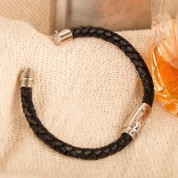 This contemporary and stylish plaited leather bracelet is perfect for any fashionable male to wear on their wrist. It can be dressed up or down for any occasion and why not wear several together to create your own unique look. This bracelet is made from leather with a 315l stainless steel twist lock fastener. It is well presented in a hessian drawstring bag. 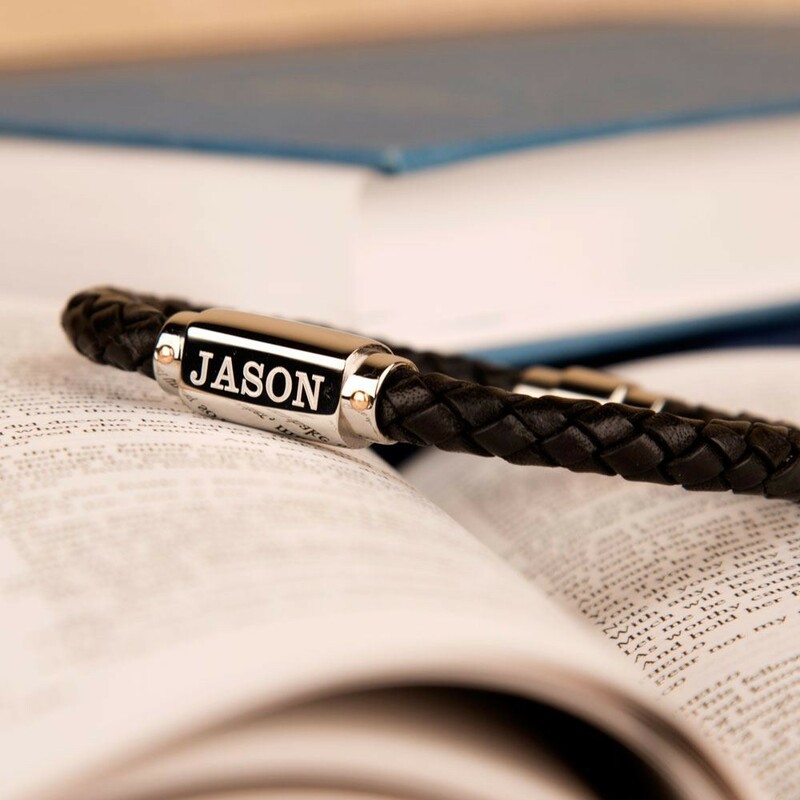 Look after your bracelet by removing it before going in the shower, bath or swimming pool. 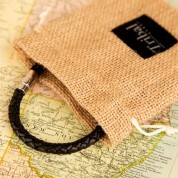 Dimensions: 21cm so fits the standard sized male wrist.